Could Wednesday’s Win be a Sign of Good Things to Come? My how the mood has changed in Dodgertown. A month ago, all eyes were set on the NL West Crown and a promising trip to the playoffs. 24 hours ago, however, emotions couldn’t have been more different. 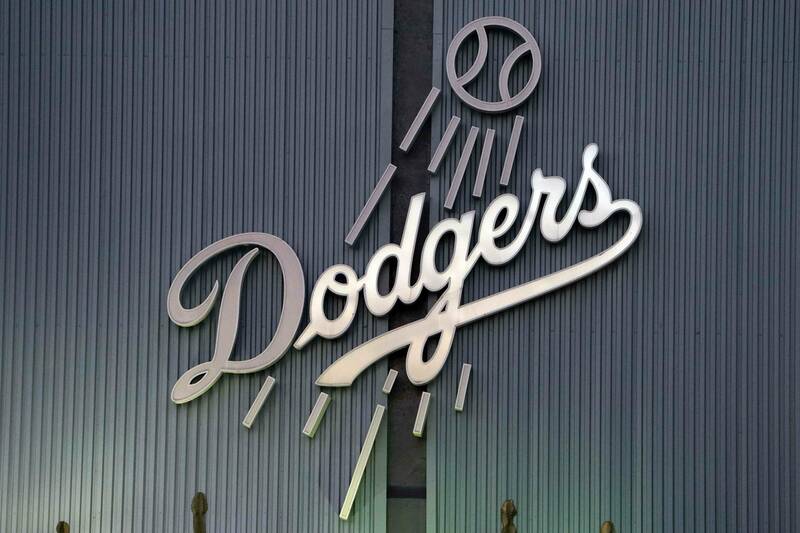 On the tail end of a four-game losing streak and a stretch in which the Dodgers had lost 19 of 25, the roller coaster ride of bleeding Dodger blue had hit an all-time low. Instead of trading for players, the cries began to stream in on Twitter for the Dodgers to join the league’s long list of sellers at the deadline. Now I’m not trying to be one of these talking heads who overreacts to even the slightest change of course as a sign that tomorrow will be significantly different than yesterday but with how things played out this afternoon, it’s hard not to be. The thing is, it’s not just the fact that the Dodgers won the game, it’s how they won the game. And even more importantly maybe, it’s taking into account how they’ve been losing games lately. As Wednesday’s game began, the Dodgers were doing their best to avoid being swept at home by the Phillies just days after dropping two of three to the lowly Padres. These four losses, however, weren’t your run-of-the-mill “overachieving team coming back to earth” losses. The streak began Saturday night with a heart-wrenching 7-6 loss to the Padres in which closer Kenley Jansen fell asleep on the job, allowing the tying run to steal home with two outs in the ninth. Not only did the run score, however, but Jansen’s attempt to throw him out went so far over the catcher’s head that the winning run trotted in right behind him. The next night, things were equally as wacky. With five Dodger errors that led to six earned runs, the Padres scored seven runs for the second straight night in a 7-2 win that cracked open the door of doubt amongst fans. With morale lower than ever, the Phillies came to town amidst a sea of trade rumors involving everyone from Shane Victorino to Ryan Dempster. Needing a win more desperately than ever, the Dodgers dropped back-to-back one run games, including an eighth inning bullpen collapse on Tuesday night. So there they were, three games back in the division and fading fast. Was hope lost? Had the early-season run been merely a mirage? In search of these answers and more, all eyes turned to Dodgers ace Clayton Kershaw. In arguably the most important game of the season thus far, the Dodgers looked to Kershaw to right the ship against another one of the league’s best pitchers, Cliff Lee. With expectations sinking by the day, it was Kershaw’s job to restore hope to Chavez Ravine by reminding everyone how the Dodgers got here in the first place. While the game started off well with a solo home run from Juan Rivera (more on this later), a shaky fourth inning from Kershaw knotted the game up at one. With both pitchers dealing, the game remained tied at one into the ninth as both pitchers exited the game in favor of the bullpen. As both teams remained scoreless into extra innings, the Phillies struck first with a two-run single from Hunter Pence that gave them a 3-1 lead heading into the bottom half of the frame. Now once again, we take a step into the mindset of the Dodgers. They’ve lost four straight and here they are again, watching another bullpen collapse with just three outs between them and a sweep. It was like nothing was going their way. With hope not quite extinguished, however, the Dodgers picked up their bats for the bottom of the tenth knowing they needed nothing short of a miracle. First up against Phillies closer Jonathan Papelbon was rookie Luis Cruz, who promptly doubled to start the inning before A.J. Ellis recorded the first out of the inning via the strikeout. Next up was pinch-hitter Bobby Abreu, and while his at-bat will go down as an RBI single, it is better described as an RBI-accident. Abreu’s single spun off the end of the bat and found just about the only piece of unoccupied grass it could in shallow left, scoring Cruz and cutting the lead to just one. After Abreu stole second, Tony Gwynn Jr. struck reached on an infield single to put runners at first and third with one out. As hope quietly began to rear its head, however, Mark Ellis struck out, eliminating the possibility of a sacrifice and leaving the Dodgers with just one out left. Fortunately, that out would need to come from Matt Kemp. On the first pitch he saw, Kemp rifled a ball into the hole at deep short, forcing Jimmy Rollins to backhand the ball before spinning and throwing towards first base. With no sign of a lingering hamstring issue, Kemp sprinted down the line and beat the throw by the narrowest of margins, scoring Abreu from third and tying the game. After Ethier flied out with the winning run at second, the offenses went back to sleep until the bottom of the twelfth, when Matt Kemp stepped to the plate with a runner at first and just one out. This time, Kemp waited until the second pitch he saw, and this time, he wasn’t going to leave his fate in the hands of any umpire. With a smash that seemed destined for the bleachers from the moment it was hit, Kemp raised his bat and headed towards first as the ball caromed into the right field pavilion, sending Dodger Stadium into ecstasy. It was a fitting end to a game that may just have re-ignited the 2012 Dodgers. Led by their stars, Kershaw and Kemp, the Dodgers fought, scratched and clawed their way to victory — refusing to give up despite the apparent lack of hope. Behind the big names were guys with lower expectations like Rivera, Cruz and Abreu who also came up big when the team needed them. In reality, it’s the recipe the Dodgers used to climb the ranks earlier this season and one they seemed to forget over the past month. To begin the season it was the perfect combination of stars and role players. Then, as Kemp went down, the Dodgers defined team baseball as every day brought a new hero. As the team returned to health, though, it was like nobody knew where the perfect balance was between the two. The good news for Dodger fans? If Wednesday afternoon is any indication, this team just may have found it.